The All-New 2019 Toyota RAV4 and the 2019 RAV4 Hybrid have arrived at Georgetown Toyota! We are now taking bookings for the 2019 RAV4 Hybrid, please fill out the form below if you wish to book yours! It's robust, it's dynamic, and it's ready to redefine the compact sport utility vehicle (SUV) segment yet again! Dynamic Force 2.5-litre inline-four-cylinder engine with VVT-iE mated to an 8-speed Direct-Shift Automatic Transmission, which motivates the gas models. Dynamic Force 2.5-litre inline-four-cylinder Toyota Hybrid System II (THS II) engine with Continuously-Variable Transmission (CVT), which activates the hybrid models. 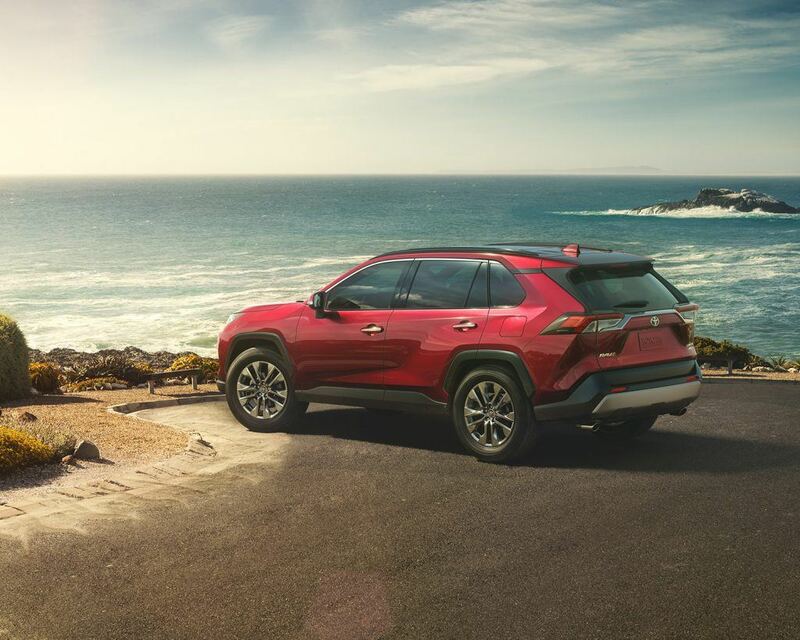 The all-new RAV4 is designed to provide a highly responsive yet fuel-efficient driving experience with 40-percent thermal efficiency (41 percent for hybrids). 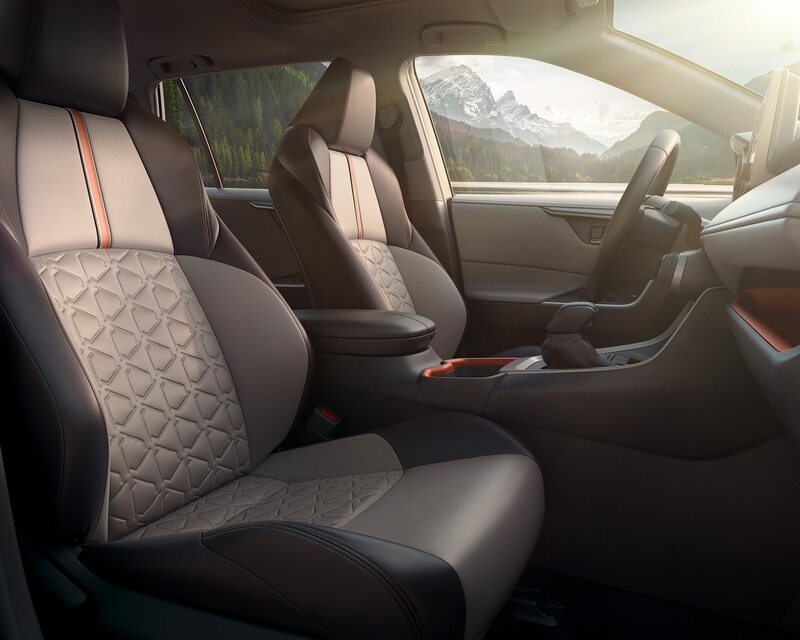 Robust Design and Highly Refined Driving Experience. New Dynamic Force 2.5L Engine and Toyota Hybrid System Powertrains offering more Power and Fuel Efficiency. Standard Second-Generation Toyota Safety Sense (TSS 2.0). All-New, No-Compromise Sporty Hybrid Grade, XSE HV, with More Power and Anticipated Class-Leading fuel efficiency. Off-Road Capabilities with Available Multi-Terrain Select and Available Segment- and Toyota-First, Dynamic Torque Vectoring All-Wheel Drive with Rear Driveline Disconnect. High-rise roof rails and large over-fenders. A more aggressive grille, fog light surrounds, and unique wheel design. Dynamic Torque Vectoring AWD with Rear Driveline Disconnect. Multi-Terrain Select that gives drivers the ability to maximize traction when driving through snow, mud, sand, or rocks. Piano-black accents across the front end, mirror caps, fender arches, and lower rockers. Projector-beam LED headlamps flank each side of the grille (on XLE and above) for a brighter, sharper, and ideally-angled light source. Toyota Hybrid System II (THS II) that works in sync with the 2.5-litre 4-cylinder Dynamic Force Engine for an impressive balance of energy efficiency and supreme power output. 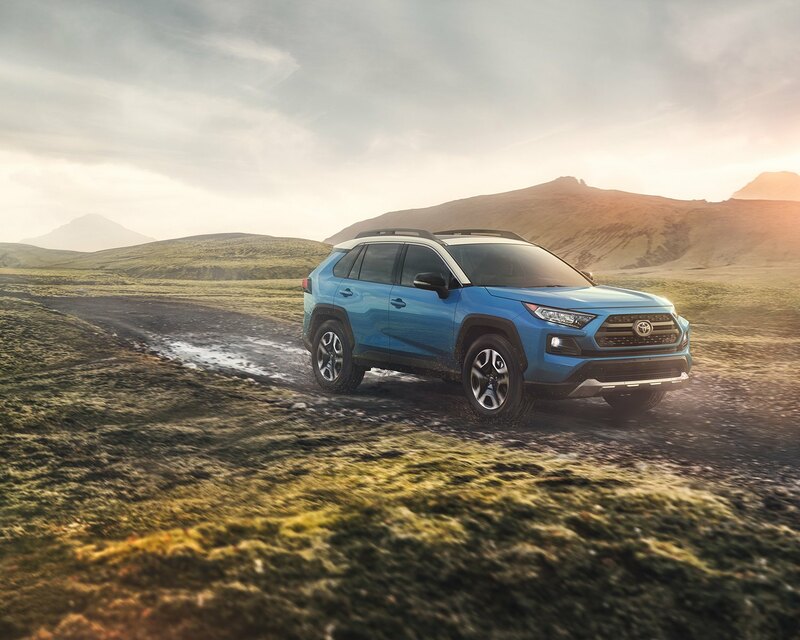 Check Out our 2019 RAV4 Inventory and 2019 RAV4 Hybrid Inventory! 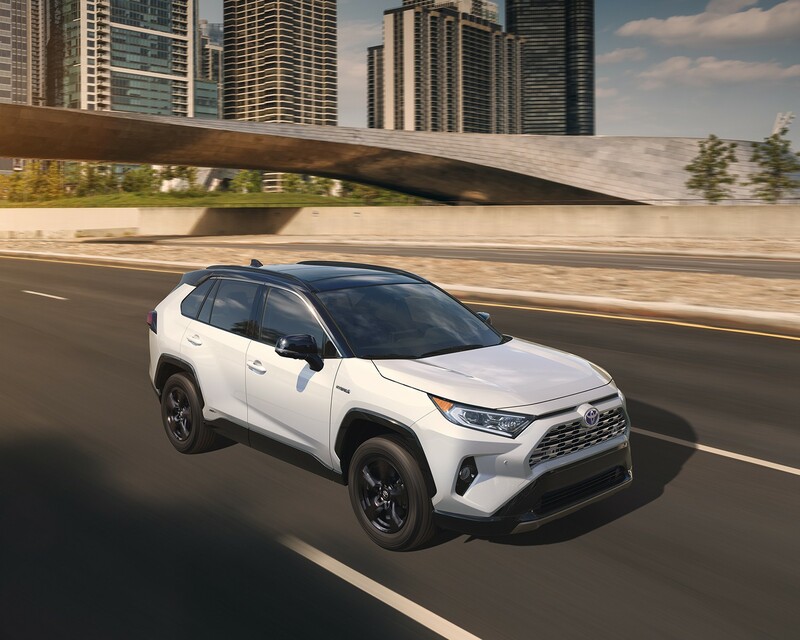 The 2019 RAV4 XSE Hybrid is now available for sale! Please fill out our form below or call to ask about booking a test drive or making a reservation on our first available inventory.